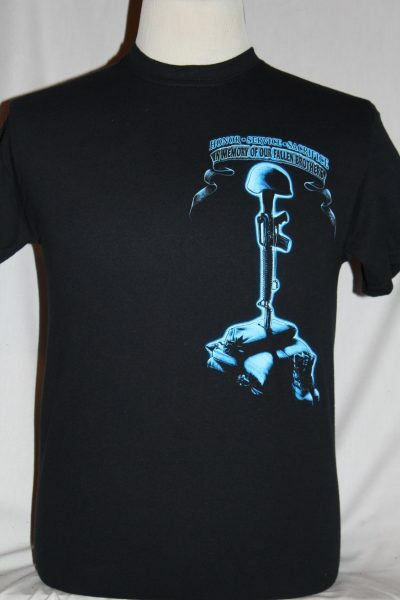 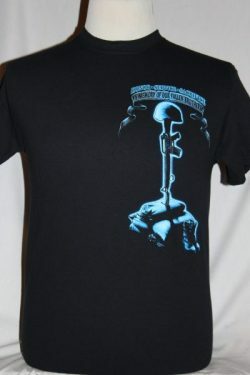 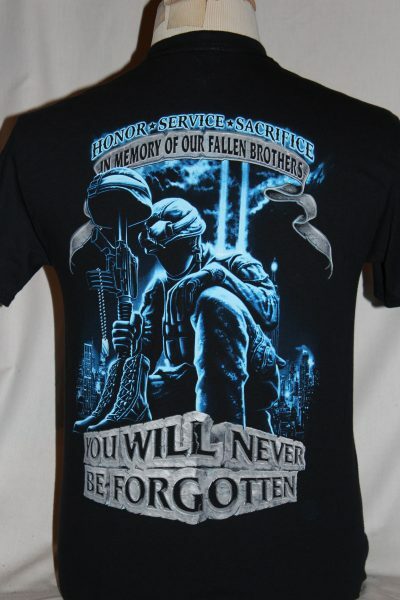 The Honor Service Sacrifice Fallen Brothers T-Shirt is a two sided print in black. 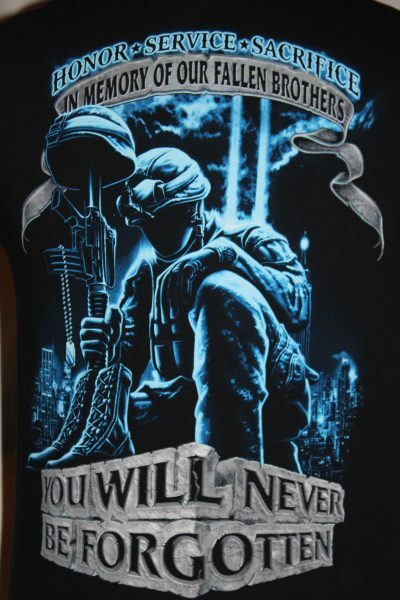 Front Design: Helmet, M16 Rifle, Sandbags, Boots, and text screened full length on left side in faded blue colors. 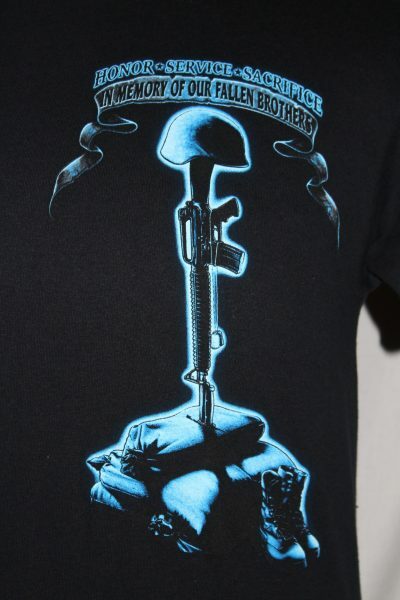 Back Design: Kneeling Soldier, Helmet, M16 rifle, Boots, and text screened in grey and faded blue colors.